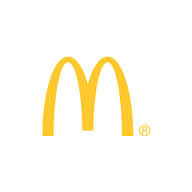 November, 2014, turned out to be a crucial time-frame for McDonald’s Corporation (NYSE:MCD) because not only did it witness a plunge in monthly sales volume in USA but all over the world. While sales in America were down by 2.2%, it was down by a cumulative figure of 4.6% when performance in other countries, primarily Japan, Germany, France and Russia were taken into account. On being asked to comment on the issue on CNBC, Peter Saleh of Telsey Advisory Group remarked that recovering from these losses would be a tough challenge for the global fast food joint. To justify this decline, he cited innovation, or lack of it, as one of the leading factors due to which McDonald’s Corporation (NYSE:MCD) was facing a downtrend because sourcing a variety of raw materials to facilitate customization is a feat which is truly difficult for massive global chains. For smaller chains it is definitely much easier and this explains the recent trend of customization. Having acknowledged the bias towards customization, McDonald’s Corporation (NYSE:MCD) has finally taken a step in the desired direction and the outcome is evident through offers like building a cheeseburger with a touchscreen. ‘Create your taste’ is another program which the fast-food chain has launched to show that it is indeed serious about being a part of the transformation. In reaction to this, McDonald’s Corporation (NYSE:MCD) shares have already fallen by 2.4% and recovery seems difficult. For investors, this means actually thinking over their positions in the stock and making an exit if the confidence level is not so high.